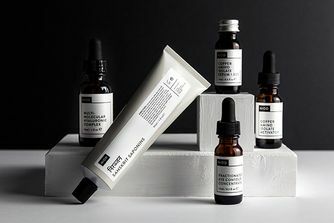 NIOD (which stands for Non Invasive Options in Dermal Science) utilises ultra-sophisticated, leading-edge ingredients to bring your skin the best the industry has to offer. Like a lightweight, adaptive ‘seal’ for the skin, this clever concoction supplements the skin’s Natural Moisturizing Factors (NMFs) and helps to prevent them from being lost. Composed largely of amino acids and minerals, NMFs are the skin’s natural barrier against hydration loss and replenishing this precious supply results in an intense, visible boost of moisture. Perfect as a primer, this delivers a clever 'injection' of hydration, creating a sublimely smooth, soft canvas. 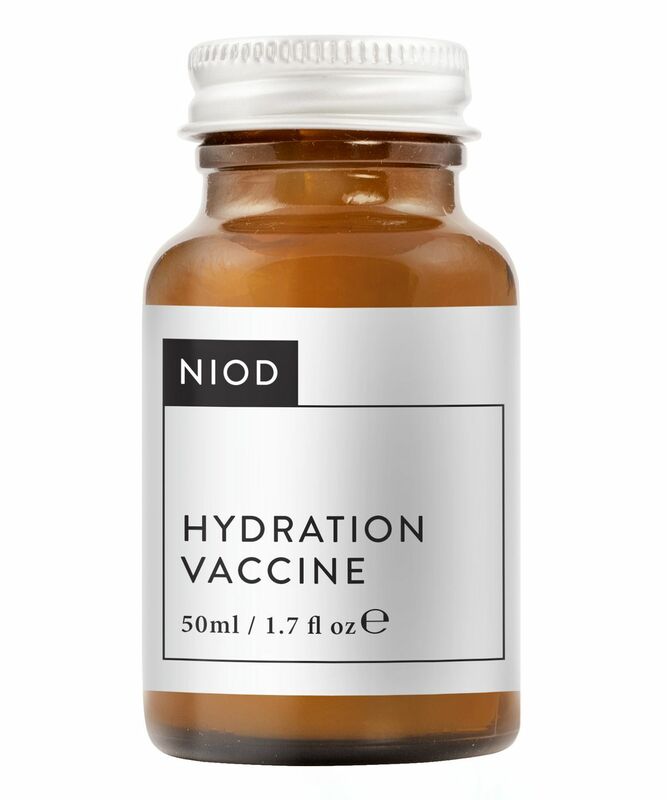 The secret to resolving dry skin disasters, NIOD’s Hydration Vaccine delivers a clever injection of moisture whenever you need it. By supplementing the skin’s moisturising elements (Natural Moisturising Factors, which are composed largely of amino acids and minerals) and protecting against their loss, this acts as a breathable, adaptive hydration seal that locks in much-needed moisture and prevents water loss. It makes a perfect primer and , in contrast to many moisturising products – which contain oils and lubricants to hide dryness – NIOD’s formula contributes to the skin’s natural barrier function to leave it soft, smooth and radiant. Enriched with Burmese mango butter (to saturate skin without making it greasy), blue algae (to further prevent water loss) and fungi composite organisms (to help build up water reservoirs) this advanced hydrator will transform the surface of your skin. Apply a small amount all over face in the AM and PM after the application of serums but before the application of any other creams and/or sunscreen formulations. I don't mind the packaging much. Love the feeling and my skin looks good. I use it after NIOD CAIS and MMHCIs it hydrating enough. Unfortunately not for my very dry skin. Firstly I must say that the packaging is awful and NIOD should include the spoon that they now sell as it's essential for hygiene reasons and ease of use. I use this after serums and before moisturiser. It has a silicone feel which makes your skin feel velvety soft but I can't say it provides any hydration, I don't notice any difference when I don't use it. I doubt I'd buy it again. It's nice, but no more than that. I love how smooth my skin feels, but I don’t see any skincare benefits the brand claims to give. Really nice makeup primer though. I would not buy it again. This product is basically silicone which creates an occlusive film on your skin. The feeling of this silicone is lightweight and certainly interesting, however if you don't like having a film on top of your skin -don't bother with this product especially given the price. Can serve as a decent silicone primer for those wearing foundation. You've got to admire the marketing though! Really didn't like this at all. Not hydrating and just a silicone texture. Least favourite product in the line. I bought this, disliked it at first because I don't usually want or need a primer, nor do I want the mattifying look this gives (others might like that though). It also will pill up on your face if your other products don't play nice with it, and/or you use too much. However I did notice it was soothing, and non-irritating, so I figured I'd find a use for it eventually. And I did... a few weeks ago, with a face that was dry and sore from sleepless nights with a nasty head cold - it was one of the very few things I can put on my face, around my nose, when my skin was stressed out and virtually every one of my usual products stung around my nose, but it was crying out for moisture. So in the morning, I'd breathe in warm steam with HA on, then layer this lightly over. At night, I'd use this again, but then layer a few drops of marula oil OVER it (it gets super rich-feeling, if you don't like that, I don't recommend. But dry winter air + sore face + dry skin, I was loving it.) Something about this formulation + an oil makes this incredibly rich feeling on the face, and I'd wake up in the morning with skin that felt like it got at least SOME chance to recover overnight, redness around my nose gone, and it helped keep flakiness/irritation at bay at least somewhat. While I'm not sure I'd buy it again (pretty situational), I was really grateful for it. Very gentle on a stressed-out face. Pretty difficult to fish the product out, rather disapointing.